1970s photo by Norman Tarling. AEC Mercury - TGM cab. Note hay rakes on roof to pull apart stacks. 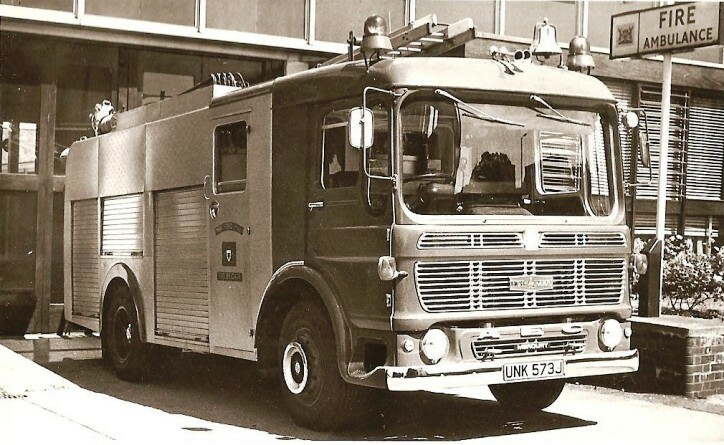 HCB-Angus did a lot of outstanding fire engine bodywork in their day, with great attention to detail most of the time. But the way these beacons were installed suggests that someone wanted to get home in a hurry the day these went on to the roof!